The advent of mechanisation at the lime and cement works around Southam, was perhaps signalled by the first three Peckett & Sons steam locomotives arriving in Nelson’s works at Stockton in 1897. They were 0-6-0 saddle tanks (six wheels, with water carried in a saddle-shaped tank over the boiler) with a 1ft 9in gauge: 678 ‘Gamecock’ arrived first in 1897; 785 ‘Niras’ in 1899 and 918 ‘Jurassic’ in 1901. All three were broken up in December 1949, although parts were probably sent to Southam to repair the locos there. Peckett & Sons were based in Bristol at the Atlas Locomotive Works and were a small but well known firm which produced steam engines until 1958, before closing in 1962. When Kaye’s followed Nelson’s example by ordering six of these locomotives between 1903 and1923 to run on rails 60cm (about 2 feet), they called their first one ‘Jurassic’ which has caused confusion with the Nelson’s one; but it is the Kaye’s ‘Jurassic’ that is now with the Lincolnshire Coast Light Railway (LCLR) and in a project for restoration under a £43,600 Heritage Lottery Fund grant. 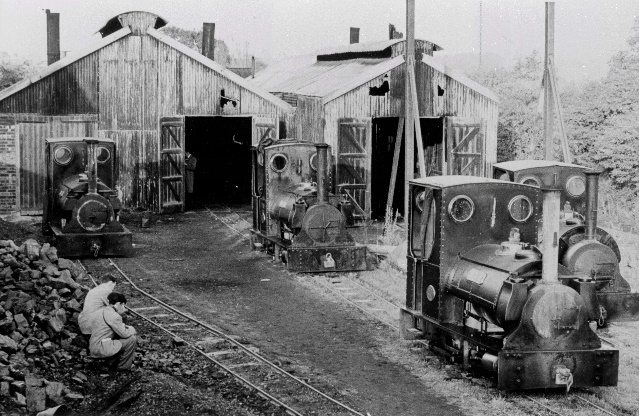 Three other of Kaye’s locomotives still remain elsewhere, but none are in working condition. It is suggested that Jurassic’s ‘…elegant lines, polished brass dome cover and name plates, large cab and long chimney will again make it popular with LCLR passengers when renovated’ and all being well, she will be up and running for the 2017 summer season at Skegness. 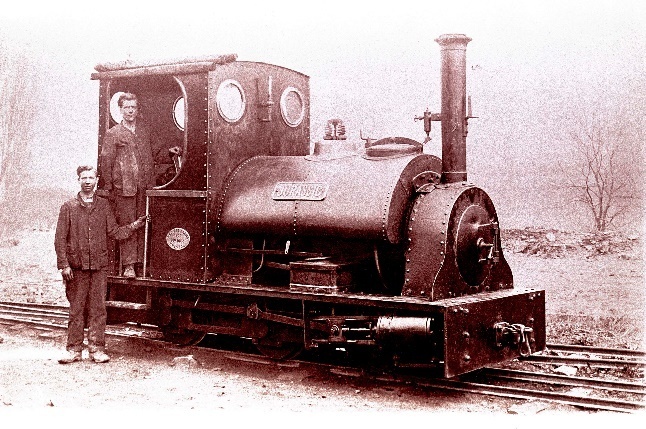 Saddle tanks were a popular arrangement especially for smaller locomotives in industrial use, because it gave a greater water supply, but it also limited the size of the boiler and restricted access to it for cleaning. Due to this, the locomotive has a higher centre of gravity and the driver’s vision is restricted, hence they must operate at lower and so safer speeds. Water in the tank is slightly pre-heated by the boiler, which reduces the loss of pressure found when cold feed water is injected into the boiler. However if the water becomes too hot, injectors lose efficiency and can fail. For this reason, the tanks often stopped short of the hotter and uninsulated smokebox. The Ruston & Hornsby 4wd locomotive ‘Southam’ (168437 of 1933) was scrapped in 1968, but some parts, including the power unit, were sold to the Tal-y-llyn Railway. The Lincolnshire Coast Light Railway was a 2 ft (610 mm) narrow gauge heritage railway built in 1958 at Humberston near Cleethorpes and operated until 1985. The land for the railway was leased from Grimsby Rural District Council and opened in 1960 using a Motor Rail “Simplex” locomotive and a single open bogie carriage and followed in 1961 by the railway’s first steam locomotive, ‘Jurassic’. The railway also became home to a number of ex-GNR items including the somersault signals used to control movements at North Sea Lane station, railings, and other platform furniture from stations on the East Lincolnshire Railway, many of whose minor stations were closed in 1963 under the Beeching cuts. In the early 1980s the railway carried heavy passenger traffic, but in 1985, faced with a series of obstacles, it closed and the track was lifted shortly afterwards. 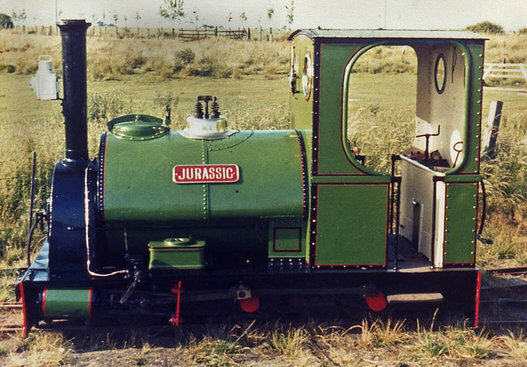 The very last time ‘Jurassic’ ran was in 1986 when she made a guest appearance at the annual gala of the Leighton Buzzard Narrow Gauge Railway in Bedfordshire. With the aid of a Motor Rail, ‘Jurassic’ was brought down and pushed onto the trailer, driven to Bedfordshire and unloaded, where she was fired up and had her first trip down the LBNGR track. She survived the original site’s closure in 1985 and subsequently spent years of storage in the open air with the Lincolnshire Railway Museum at Burgh-le-Marsh in Lincolnshire (now closed), before moving on to the present site at Skegness Water Leisure Park, where the owners kindly erected a shed for LCLR and their rolling stock. The Lincolnshire Coast Light Railway Historic Vehicles Trust was formed in 1983 with the intention of restoring and preserving some of the vehicles and the Trusts’ stock was moved to a private site until it joined the rest of the railway at the Skegness Water Leisure Park, where a revived Lincolnshire Coast Light Railway was built on the site and opened on 3 May 2009. A water tank has been installed in anticipation of the return of Jurassic to traffic in the near future, but because Jurassic has not been steamed since 1985 she will need some expensive boiler work. 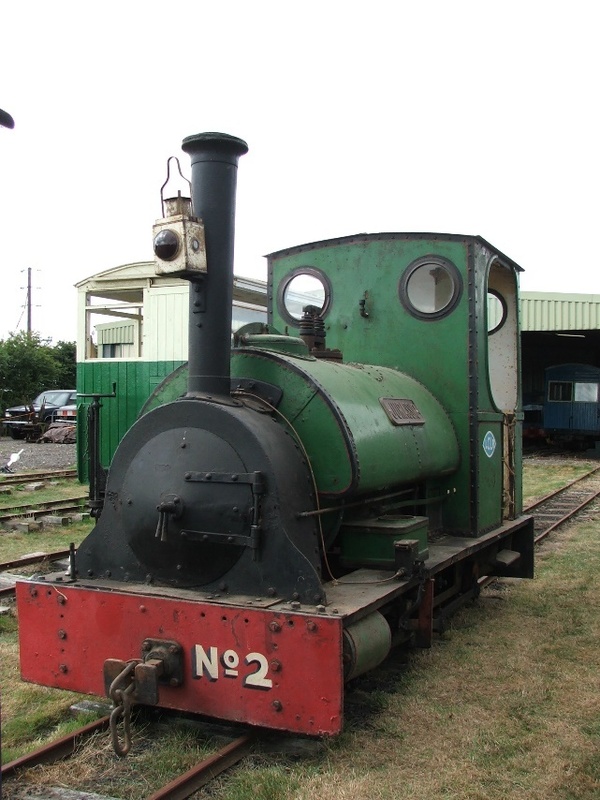 She has now been dismantled (July 2016), with the boiler and firebox sent to specialists for repair at the Weybourne works of the North Norfolk Railway and the frames, wheels, cab, saddle tank and chimney are in store at the Skegness Water Leisure Park for work to be done whilst the boiler is away. The Trust has agreed with the company to overhaul the locomotive to enable it to operate for a period of ten years (the length of a boiler certificate) plus time for rebuilding and fund raising. The current revenues are still too small to fund Jurassic’s complete rebuilt, but the Heritage Lottery Fund has gone a long way towards this and although the Trust has to find match funding, which can include volunteer labour, other means are being sought to raise it all. However, with the offer of steam traction the railway will have a unique offering able to attract visitors from a wider catchment and once operational, Trust members will be trained and will operate this lovely little locomotive. 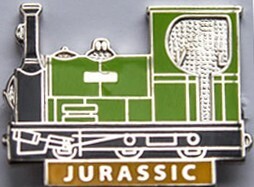 See http://lclrhvt.bravesites.com/help-return-jurassic-to-steam for details of the current restoration project.